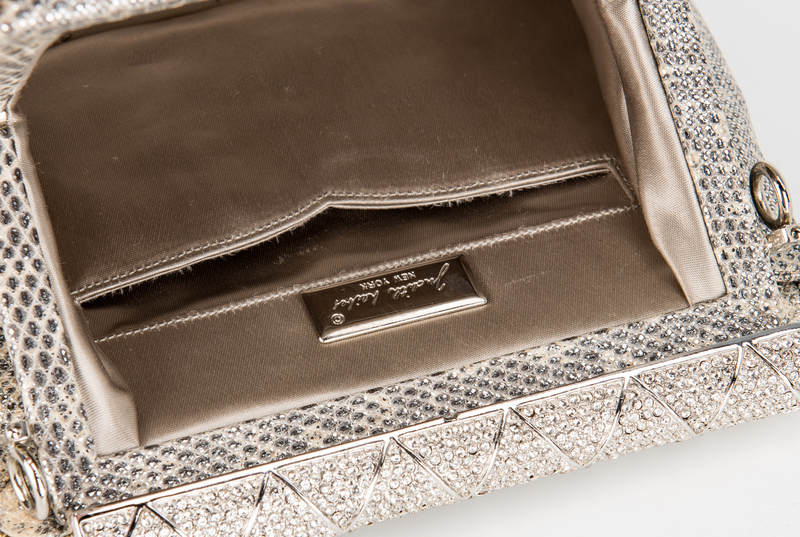 Two (2) Judith Leiber Bags. 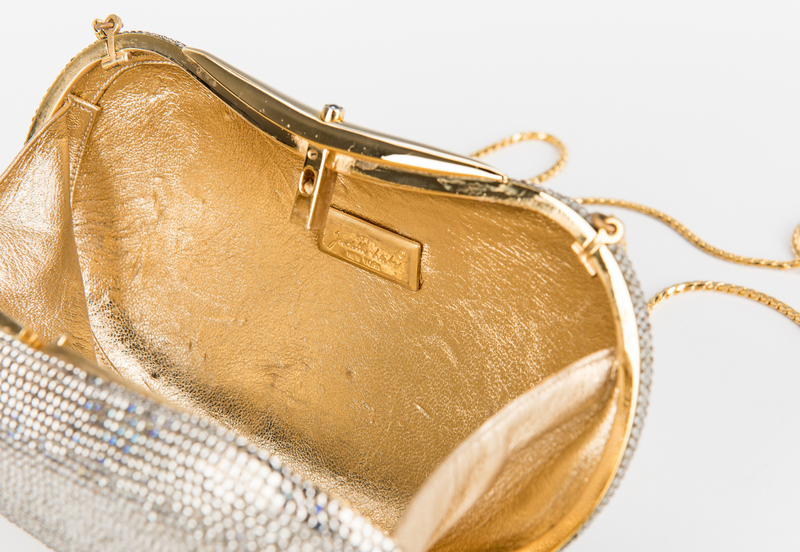 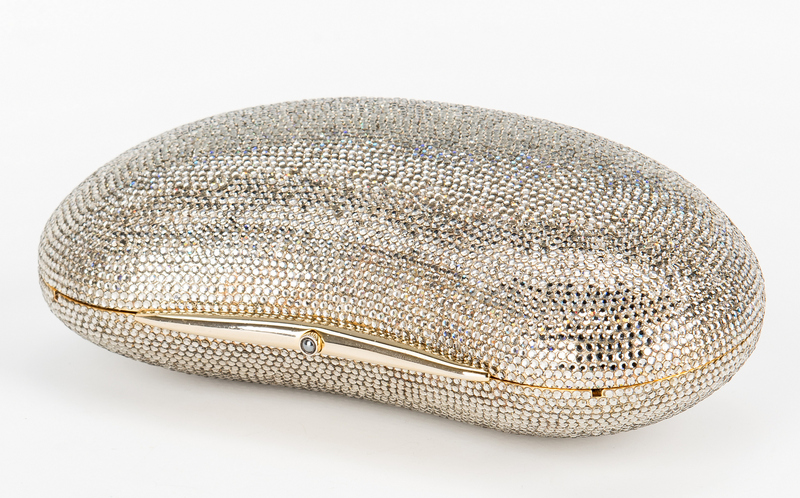 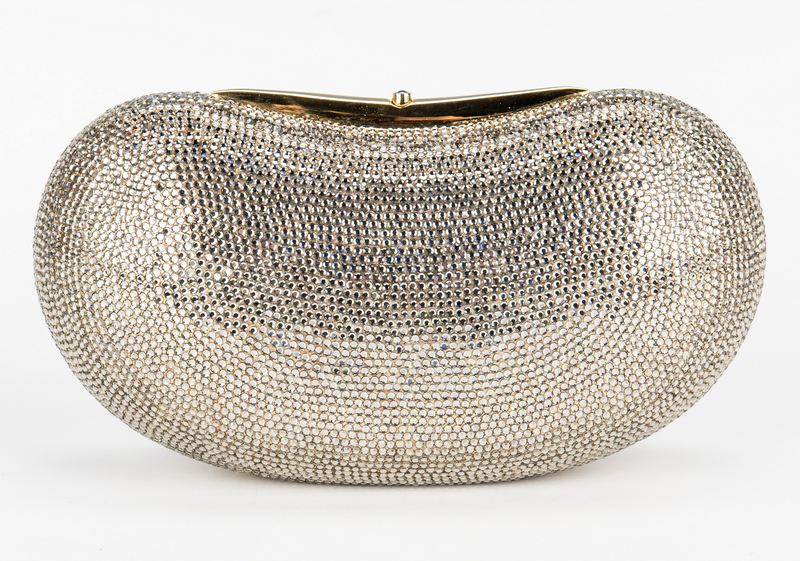 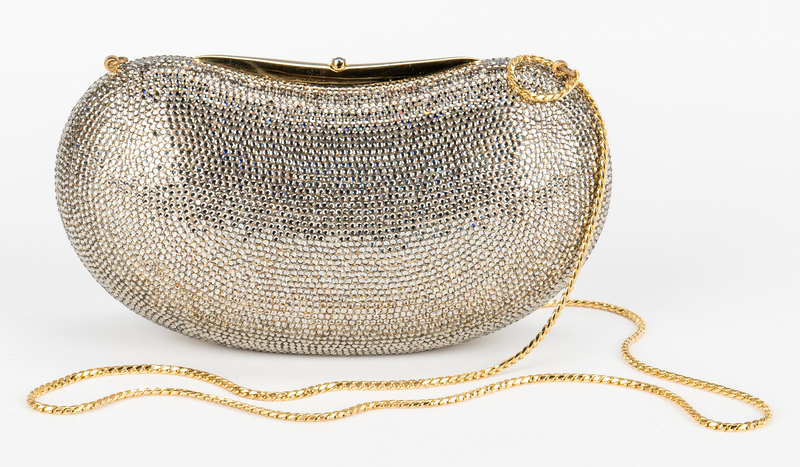 1st item: Crystal Minaudiere clutch with gold chain strap, gold lame interior. 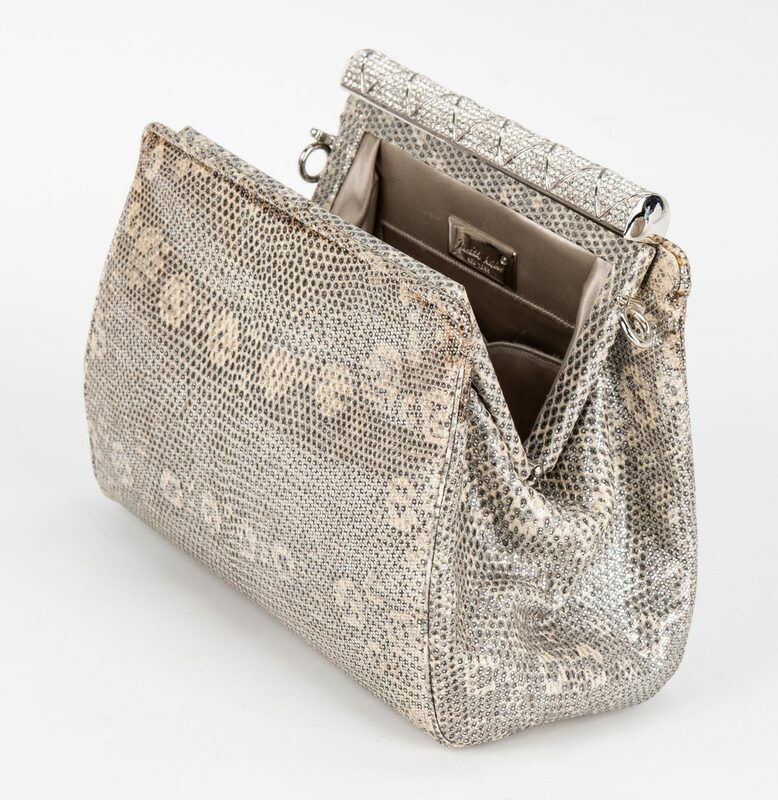 7 1/4" W x 3 3/4" H. 2nd item: Snake skin pattern evening bag with one silver and one gold interchangeable & detachable chain strap. 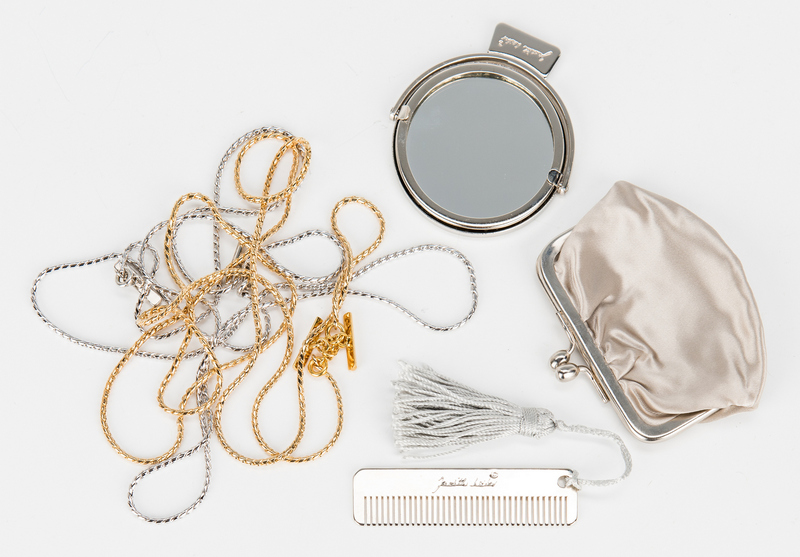 Also includes mirror, comb and coin purse. 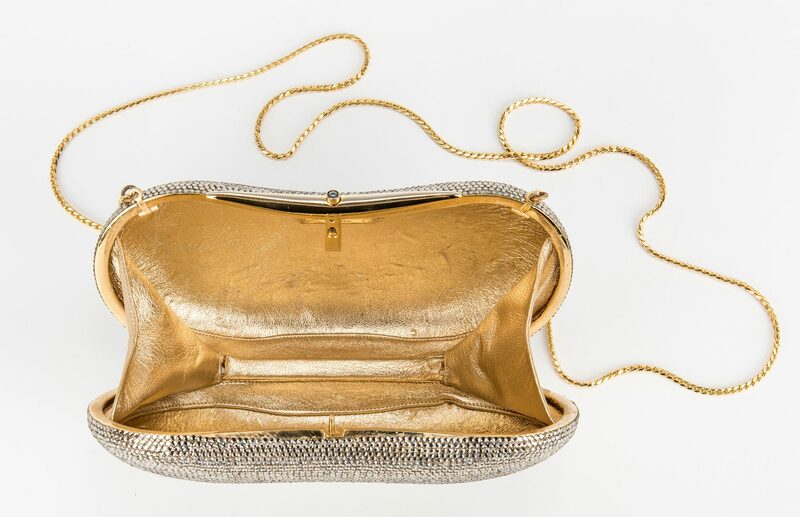 7 1/4" W x 5 3/4" H. Provenance: Private Knoxville, TN estate. 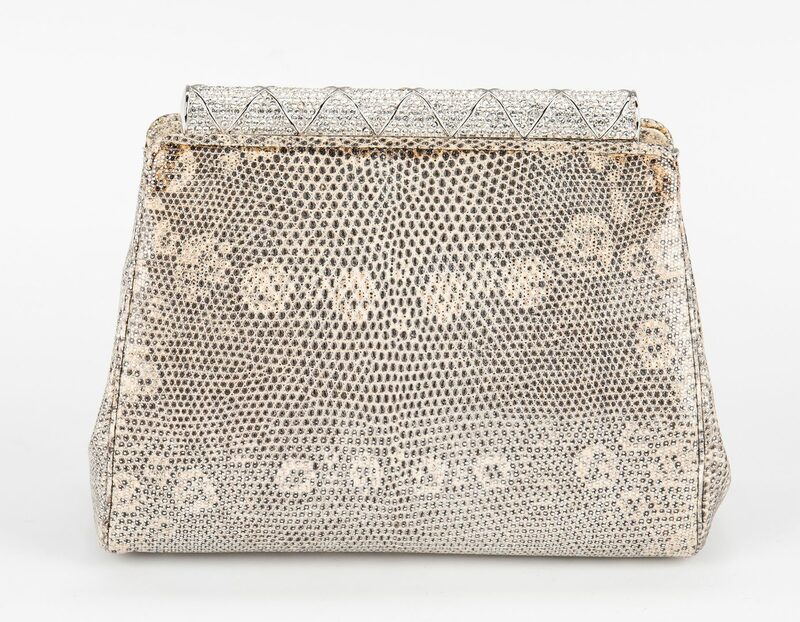 CONDITION: Both are in good condition, some discoloring on the corners and top seam of snake bag.